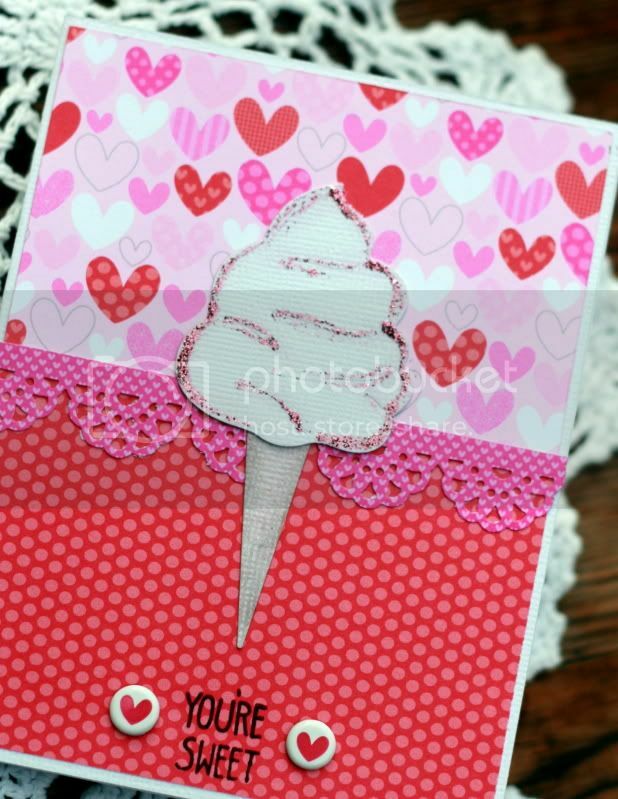 Hello all, Love you a Latte . . . . yes I love this new Cottage Cutz Cafe Latte from the Valentine collection. I used it here on a Valentine card. . but it can really be used anytime of the year. I used foam dots to add dimension to the Cafe window awnings and double dots for the roof awning. Because I wanted the furniture to overlap the ribbon and the fence I also foam dotted them to be at two levels. The dark paper strips on each side of the cafe give the look that the cafe is sitting back with all the awnings coming out. . .adds perspective. This Cafe Cottage is a nice addition to the Cottage Village Die collection. 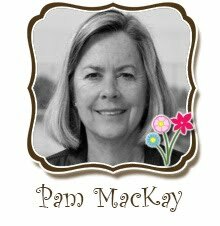 As an added note, I would like to thank Kay for all the talent that she brought to the team and also her leadership behind the scenes. Wish all the best for her and look forward to working with her in the future. Thank You again Kay. . . . . . .
For today's project I used the mailbox from the Kitty Love Mail 4x4 die and the oval tag from the Love Tags, Set 4x6 die. I love using my CottageCutz dies to make tags for my candy tubes. Remember that you can use bits and pieces of your dies to make your projects. Combining several dies gives you more options. This is my final post for awhile, I am taking a break after being the Blog Coordinator for 3 years now. 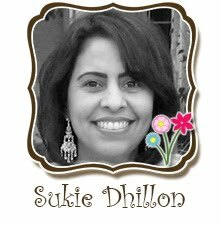 Cheryl Walker will take over as the coordinator and I have no doubt she will do an awesome job and bring some great new ideas to the blog. Thanks for all the nice comments you've left for me over the years, they are very appreciated. 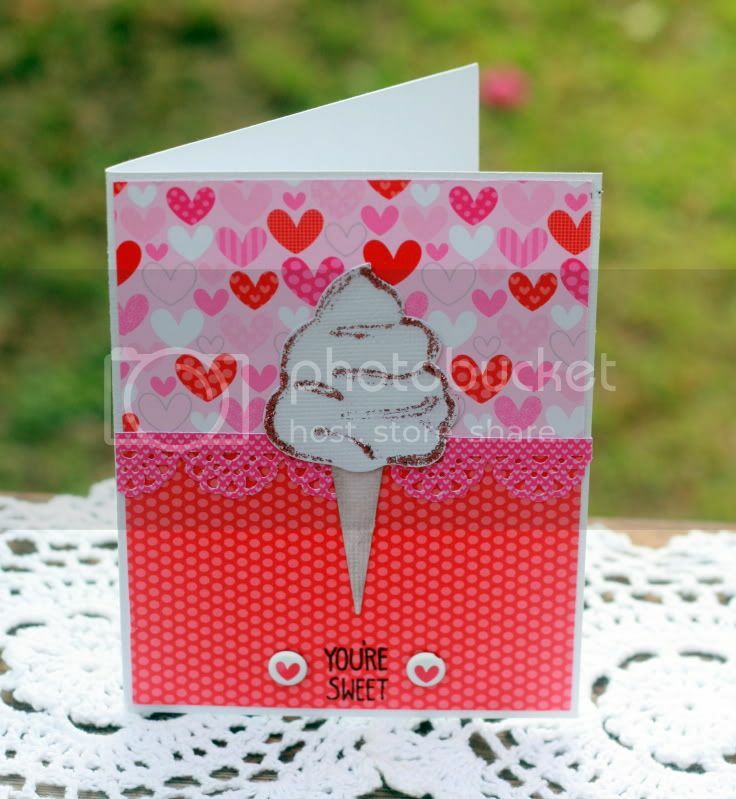 The Valentine's Release from CottageCutz is so adorable. I'm thrilled to share a card with you today using the Love Shack Die. This is so cute it just makes me smile every time I see it! 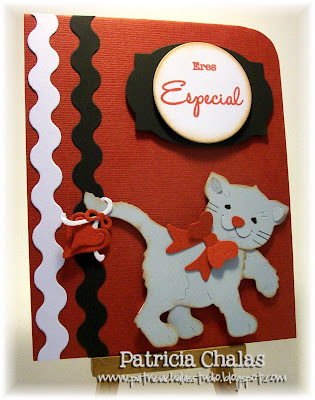 This is a pretty simple card, but when you want your die cut to be the star of the show that's all you need! Hello Friends! I have a couple of cards to show you today. I used dies from the Valentine release. 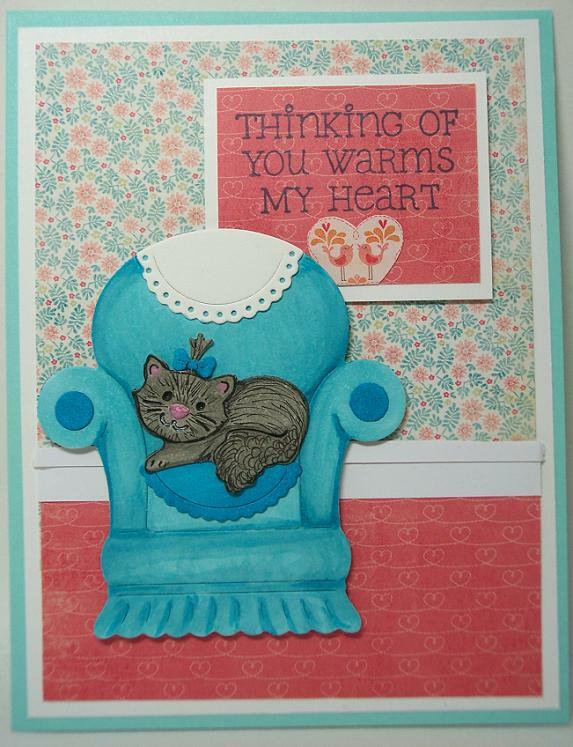 My first card was made with Kitty in Chair die. Even though it was released with the Valentines, by changing the colors it can be for any occasion. I made a living room scene and added the sentiment to the picture frame hanging on the wall. I tend to like to make scenes. I hope you aren't getting bored with them. I used the Love Shack die to make my next card. 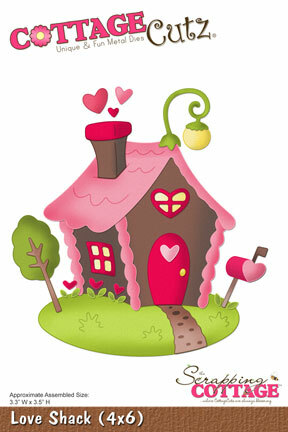 I love house dies and this one is a real cutie. It doesn't have to be made into a Valentine. There are so many cute dies in the store! 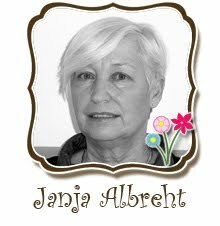 I hope you will take the time to have a look in the store. I cut the house from white cardstock and colored the images with my copics. Have a GREAT day! Good morning! 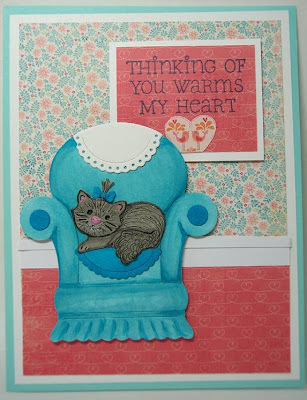 It's Lorie here today to share with you a very simple, but elegant card. No one loves to spend more time fussing, or adding detail to their creations than I do, but sometimes... every once in a while, I want to created something quick and easy, but I still want it to look like I fussed over it. 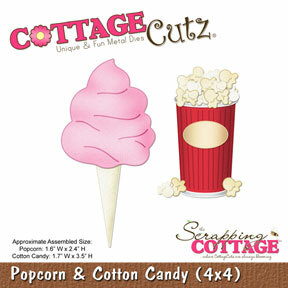 Our friends at The Scrapping Cottage have made that so easy for us with their line of Cottage Cutz Made Easy. The dies in this line are exquisitely detailed, and pretty much finished in just one pass through the die cutting machine. With some carefully chosen paper, you can have a gorgeous project finished in mere minutes, which is what I've done for you with this card. I chose this beautiful red glitter paper from Stampin' Up! to use with this Filigree Love Birds die. The details on this die are wonderful, and with the sparkly paper, there just is no need for anything else. Sometimes, less is very beautifully MORE. 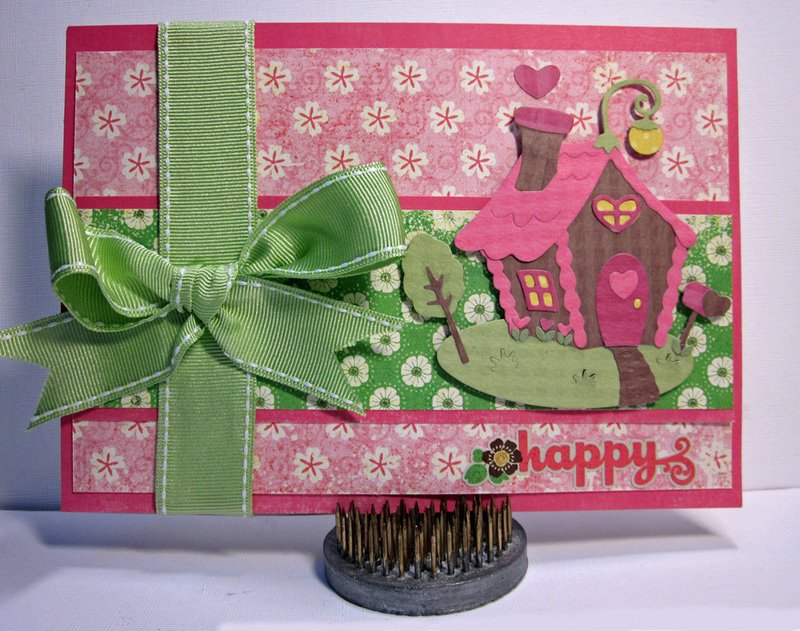 The sentiment for this card comes from the January 2011 released Frame 1 Lettering Stamps from The Scrapping Cottage. I thought, and probably overthought what to do for the bottom of this card, and I resisted the urge to use ribbon or make a bow. I finally decided to add just a little more bling with some clear rhinestone strips, which I colored to match the red, using my Copic markers. 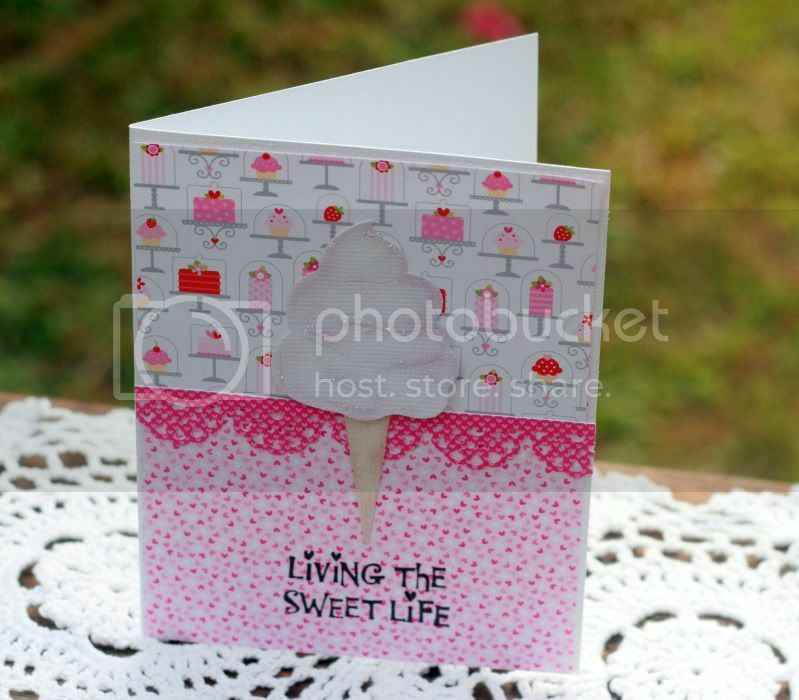 The embossing folder I used for the background is a Cuttlebug folder called Birds and Swirls. Here's a closer look at the gorgeous detail on the die cut. You've just gotta love how wonderfully easy this card is, and yet SO pretty, too. I love it when that happens! I'm so happy you could stop by today, and I hope you've found some inspiration. Have a blessed and beautiful day! Hi Scrappy Friends! I have a layout to share today that celebrates the friendship my sister Lori has had with her best friend Rachel for the past 30 years. It's hard to find true friends and I would say that they have both been blessed ! 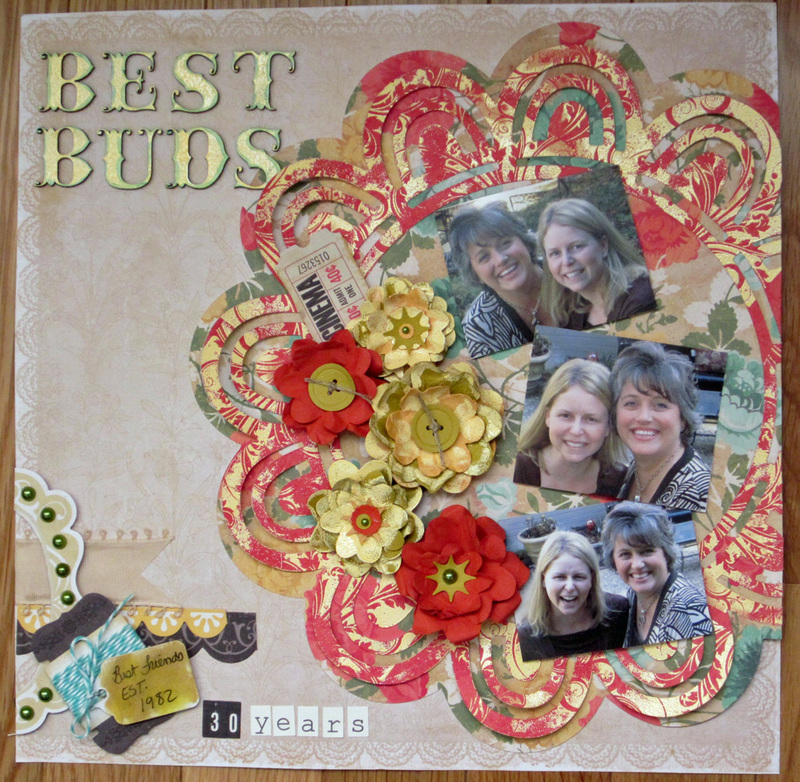 I thought it would be fun to use the title "Best Buds" as a play on words for all of the lovely flowers I made using one of the newest dies from CottageCutz - Sweetheart Flowers Layered. 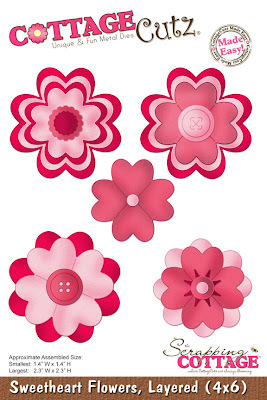 This is a wonderful flower die, that you can combine in so many different ways for so many different looks. Mine are a little on the distressed side, with lots of crumpling and shaping, and and heat embossing. But here's the package, to give you an idea of another way to make these flowers. If you would like a chance to win a $25 gift certificate for CottageCutz, then be sure to check out our monthly challenge. 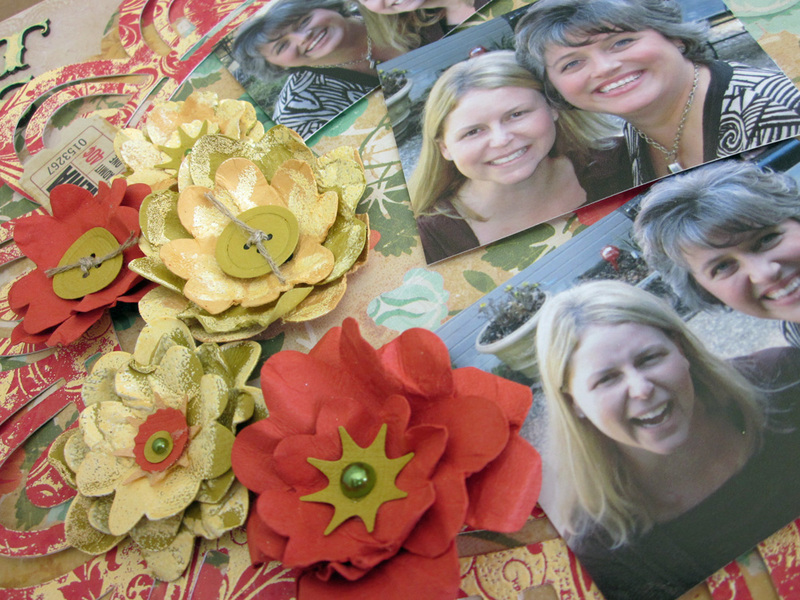 This month, all you have to do is make a scrapbook page using any CottageCutz die. Easy Peasy! It's the perfect season for cards filled with love and sweet wishes. With out new Valentine collection cards are easy peasy. 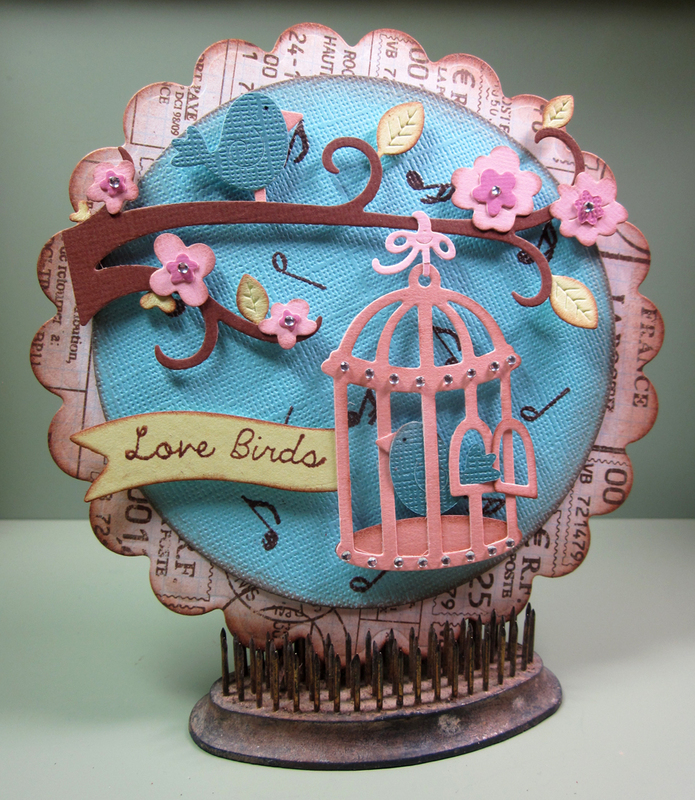 This card was created using the Whimsey Bird and Cage die. Granted it's great for Valentines but the best part about this die is you really can use it anytime for any occasion. The sentiment is stamped on the Airplane with Banner and Sign another one that I use over and over. 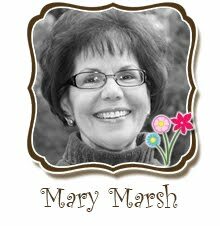 I hope you have had a chance to participate in our current challenge....just create a layout and use one of our dies and you might just win a prize. Here's the link to our current challenge. 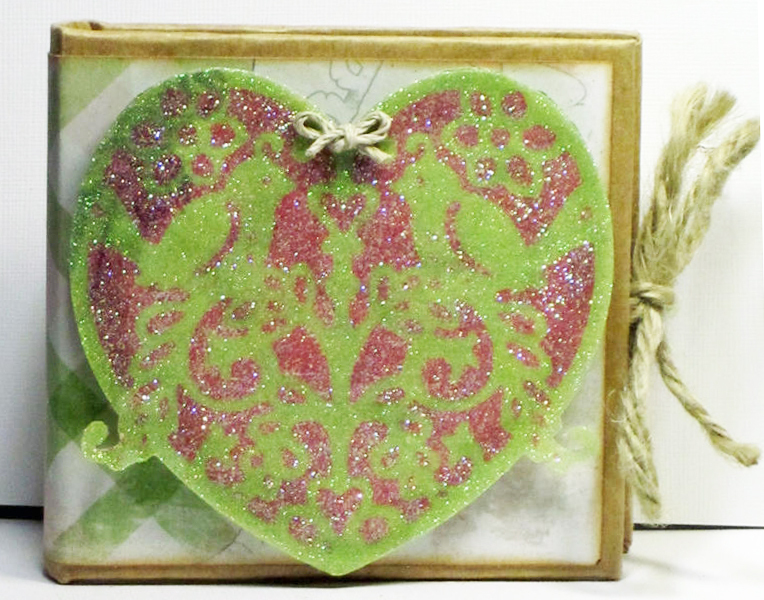 Hello everyone today I wanted to share my ♥Victorian Valentine Card♥ made for The Scrapping Cottage using all Valentine's Cottage Cutz. 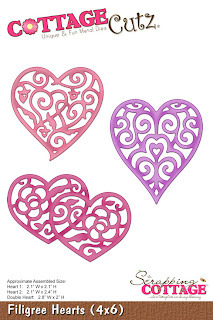 ♥First I used the Filigree Hearts( the double hearts) 2 of them for behind my tag. 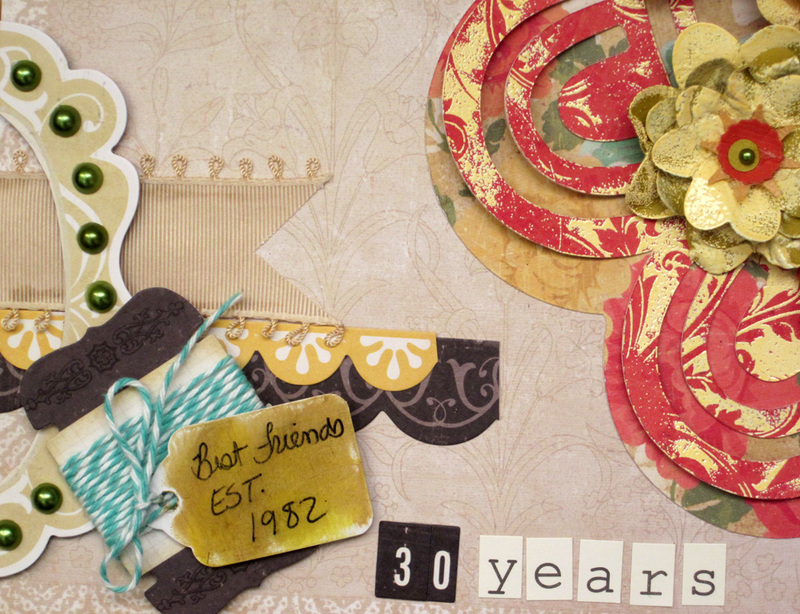 I distressed all my pieces using tim holtz tea ink and a duster. I ♥ using the duster to dust and distress my ink, its super easy to do, much easier than dabbing. ♥ The tag was cut using the Love Tag Set 4 x 6 and my Key was cut using the Vintage Key cottage Cutz and the stamp that comes with it. ♥The little Flowers were all layered and they came from the Whimsy Bird and Cage Cottage Cutz. 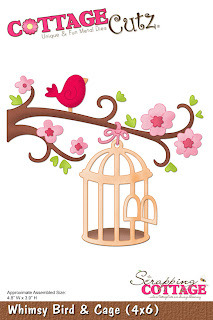 ♥♥♥I added pearls to the flowers,bird cage and the corners of my card. The ribbon i used is seam binding from Really Reasonable Ribbon, and i just took one piece from the edge of it and pulled on it to scrunch it so its gathered up. I tied it to the bird cage and the key. Next I made a bow and then gathered the ends. I glued it to a feather, and then added a button to the center of my bow. Living the Sweet Life ! 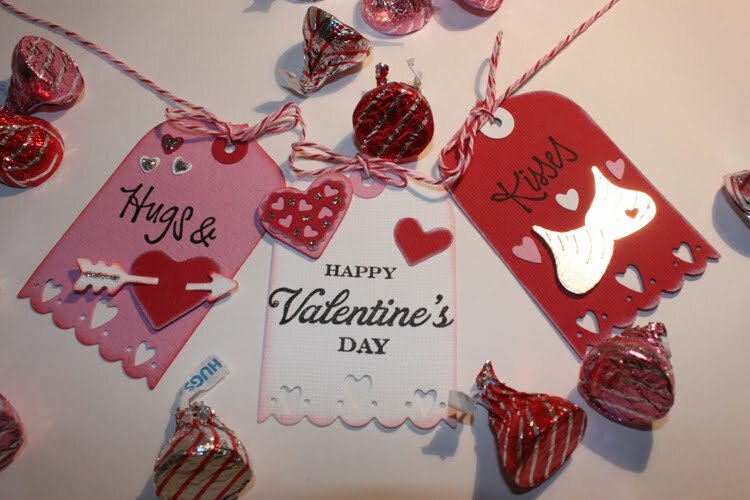 to see which designs would work with a Valentine's Day theme. 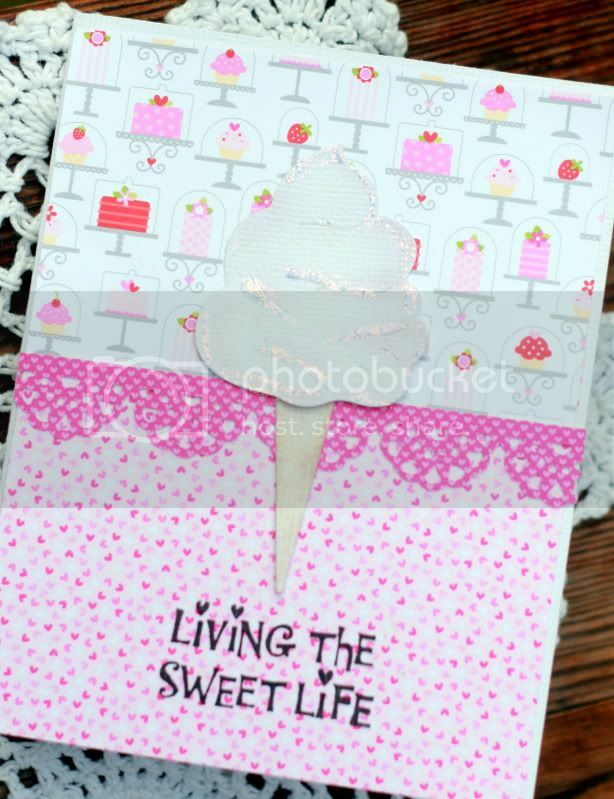 The Cotton Candy die easily stood out for me and I went on to diecut it in white cardstock so as to color in the colors to match the DP I was using. added some stickles to add a pop of color and dimension as well. 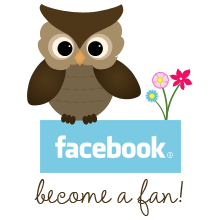 and if you do use any , do share your creations with us on our FB page or in the comments section here. Sweet Kisses. . A sweet treat for my love. 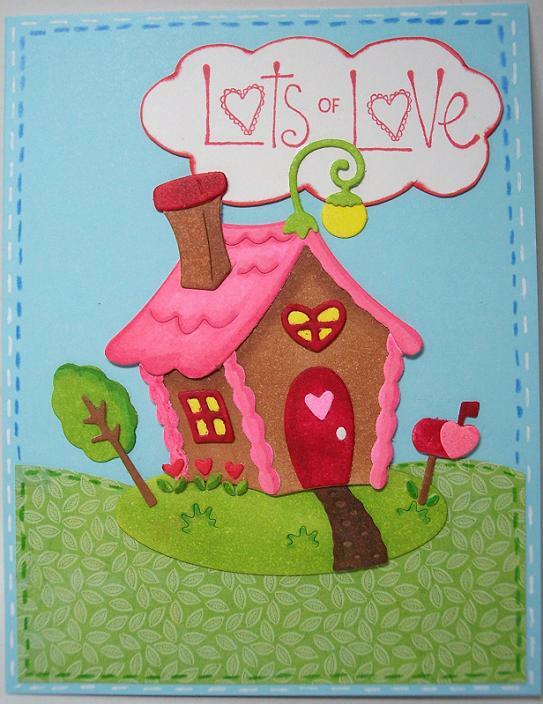 This week I decided to use one of the New Valentine Cottage Cutz dies along with one from last year. Sweetheart Cupcakes and Hugs & Kisses Phrase. This cupcake die is a cute stack of two cupcakes with a heart pick at the top. 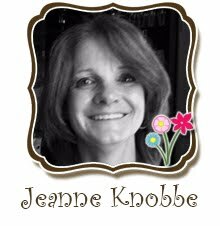 You can do the cupcakes with the natural cake color base or do the base in a paper/foil color paper. The cupcakes can also be made side by side. 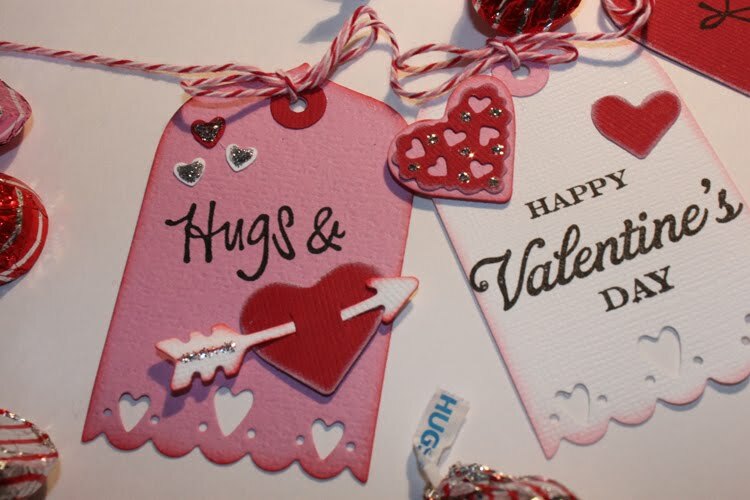 The Hugs and Kisses phrase die from last year has a creative assortment of words that can be used in any combination. Sorry for the delay today, have been out of town for a couple weeks and have missed being with everyone. 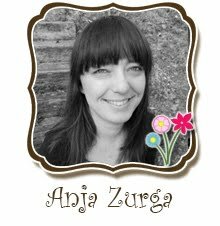 I look forward to a bright New Year and having the opportunity, along with my fellow creative team to bring you lots of new ideas for using Cottage Cutz dies. There are some great dies coming in this New Year. Hi everyone! 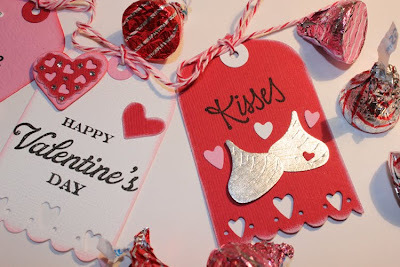 Today I want to show you this cute little Valentine's Day banner I made with the Love Tag Set 4x6 die. 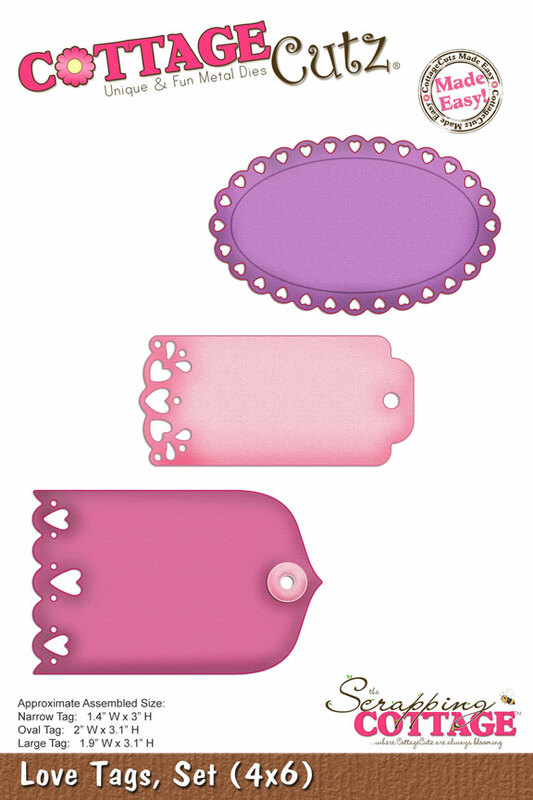 It comes with 3 styles of tags, complete with hearts that cut out on each of them that can be used to embellish your tags with. 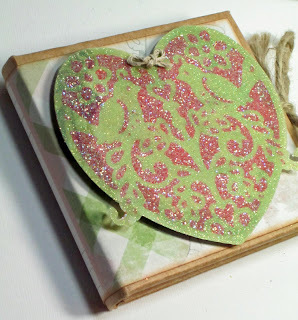 I also used my Valentine mini dies from a previous years release to embellish my tags. 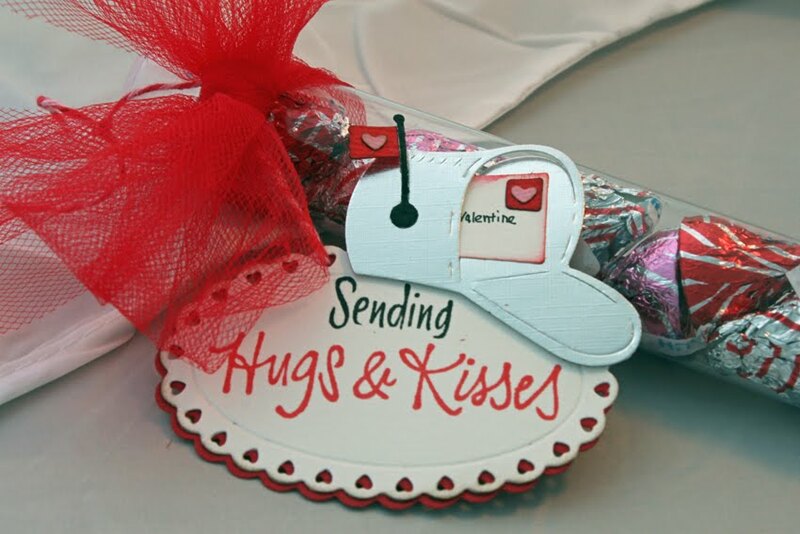 This would be a cute a decoration for your home, for a party or on a gift. Have a "Sweet" day and we'll see you back here tomorrow for Barry's post. Hi die cut fans...it's Lori here with you today highlighting one of our new Valentines Days Die...Filigree Love Birds. I really wish I could have captured a bit of a better picture, but the glitter was difficult to photograph. However, I did really love the technique I used for this project. Doily dies make great tags!